The Motorola O201 Cordless DECT Telephone is manufactured for professional environments, and thanks to its IP67 housing this model can also be used in challenging places of work. 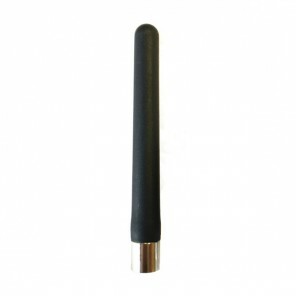 This model comes with 2 antennas: short and long. 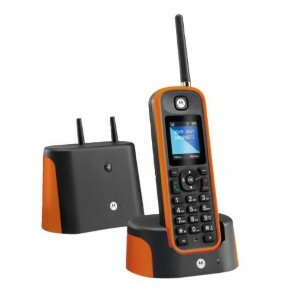 According to the manufacturer, if used with its long antenna and in optimal conditions the Motorola Series O2 gives a range of up to 1km (always depending on the terrain on which you are using the phone.) In testimonials and tests they have found an improvement in the range of 30% compared to a conventional cordless DECT phone. The Motorola O201 can register up to a total of 11 terminals to a single base, and register each terminal with four different bases. We recommend using the same O201 model to optimize performance. 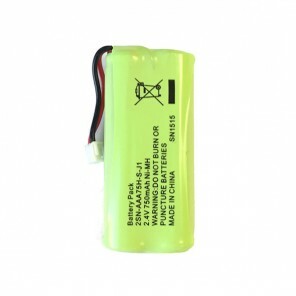 As for battery life, the Motorola O201 can keep you connected for up to 12 hours talk time and if waiting or in stand-by it can continue to operate for up to 250 hours. Other features of this new model Motorola O2 Series are caller ID, 200 contact directory, loudspeaker and an illuminated LCD display. Finally, it also has a clock with alarm function and even a calendar.